Well this is no big secret but I came really close to missing this one. We were doing the tourist thing along Canyon Road, popping in and out of art galleries like, well, tourists. If you haven't been there, prepare to be overwhelmed by the sheer volume. Oh - and wear comfortable shoes. Anyways, we had just left a gallery and were walking to the next one. Out of the corner of my eye I saw a lady with a camera, and could not tell what the heck she was shooting. So being a curious photo guy I wandered over there and found this door. 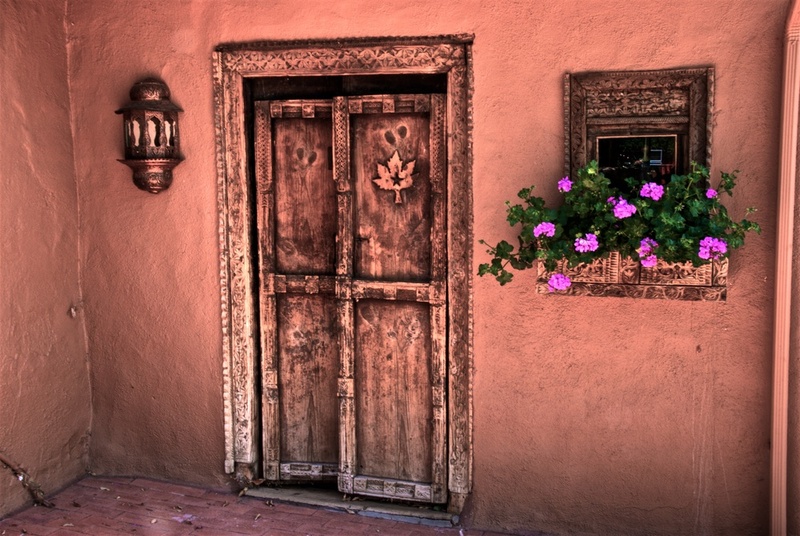 It seemed to represent Santa Fe to me - simple, beautiful, and a little wild around the edges.